Have you heard the term of Life Pharmacy? A live pharmacy is a cultivation activity of medicinal plants at home or yard, in anticipation of prevention or cure early and independently using existing medicinal plants. 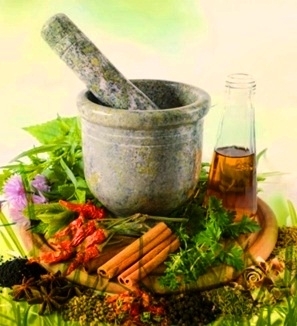 The cultivation of medicinal plants from day to day is growing, along with awareness of the use of alternative medicine from natural or herbal ingredients. Indonesia is rich in various medicinal plants. Plant species in Indonesia approximately 30,000 species of plants, most of which are medicinal plants. Medicinal plants are a kind of plant that part or whole plant is used as medicine, ingredients or medicinal herbs. Cultivation of medicinal plants is a way of processing plants so that medicinal plants produced good quality. Medicinal plants can grow well throughout the territory of Indonesia. Each region has a superior product of medicinal plants produced. Each type of plant requires different environmental conditions. We need to know the growing terms and characteristics of each type of medicinal plant to be cultivated. Apart from that, we also really need patience in care and guarding so that the results we can enjoy in the future because everything we do always requires a little sacrifice, whether it's your time and your money. Curcuma xanthorrhiza widely found in the tropics. Temulawak can grow in lowland areas up to the plateau at an altitude of 1500 meters above sea level. Curcuma xanthorrhiza can develop well in the soil around the settlement, especially on loose soil to rimpangnya can grow large. Curcuma Xanthorrhiza has long been used as ingredients of medicine by the people of Indonesia. The typical aroma of ginger rhizome smells sharp and the flesh is yellowish. Wild Ginger can be used to treat ulcer disease, constipation, sprue, chicken pox, asthma and headache. Citrus aurantifolia including herbaceous plants that have many branches and twigs. Citrus aurantifolia plants love the place with direct matahatri rays. Citrus aurantifolia can grow at altitude from 200-1,300 meters above sea level with medium to high humidity. The part of lemon most often used as a medicine is its fruit. The old Citrus aurantifolia fruit tastes sour. Citrus aurantifolia fruit can treat cough diseases, influenza, fever, constipation and body odor. Betle piper is a type of vine and grows leaning on another tree. Piper Betle liked the place with full sun. Piper Betle can be found ranging from lowland to high altitude, with a height of 1000 m above sea level. Piper Betle is commonly used to treat bad breath, toothache, vaginal discharge, eczema and allergies. Piper Betle is also often used as completeness "Wedding Rituals on the Javanese". Euphorbia tirucalli comes from Africa. This plant likes a place that is exposed to direct sunlight. Euphorbia tirucalli can tumbu didaerah land to the area at an altitude of 600 meters above sea level. This type of plant has a silidris spherical twig, does not have many leaves, small and is located at the end of a young twig. Euphorbia tirucalli is usually used as a fence plant, ornamental plant, or grow wild. almost all of this plant part can be used as a medicine. Roots and twigs can treat stomach disease, rheumatism, and nerve pain. The stem part can be used as a cure for skin diseases, toothache and ear inflammation. The sap can treat toothache, but if exposed to the eye can cause blindness. Branches and branches if burned can be used as mosquito repellent or anti mosquito repellent. That is a brief explanation about the types of medicinal plants and their benefits may be useful for all of us and hopefully can be a valuable lesson that can then be implemented in everyday life. "Thank you and success always accompany you"